Education Secretary Michael Gove offered an interesting response to students asking him about his love of rap music. He rapped some of his favourite lines from the 1982 Wham Rap which were all about living with unemployment. 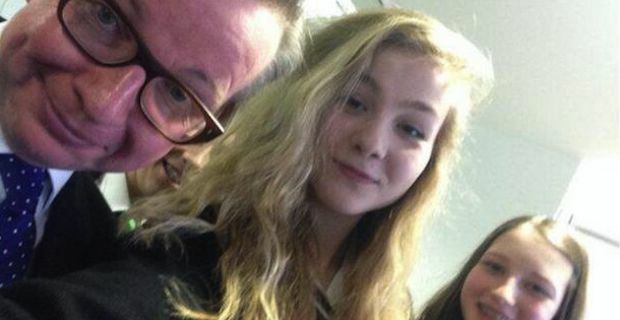 Gove was participating in a BBC School Report visit where he chatted with pupils form 6 different schools in the UK. The students had heard through the grapevine that the Education Secretary had a fondness for rap music and this no doubt piqued their curiosity. One student asked the Secretary “You’ve recently said that you quite like rap music, so I was just wondering, could you give us a taster of your favourite rap?” and she ended up getting a completely unexpected response. Gove quickly explained that he was more into "Vanilla rap" and that the first rap he would have heard growing up was "the Wham rap, you know, with Andrew Ridgeley and George Michael”. He then proceeded to drop some Wham rhymes straight out of 1982 on the shocked audience before later posing for a selfie to really impress the students. Once the dust had settled the pupils got a bit more information on his rap interests. Michael Gove also admitted that he is into some contemporary rappers like Tinie Tempah and Public Enemy. Could this be the end of the long summer holiday in schools?